WABetaInfo recently reported that WhatsApp Beta version 2.19.101 will soon be available to users. With this announcement, it was also revealed that a number of new features are being test by the Facebook-owned app. 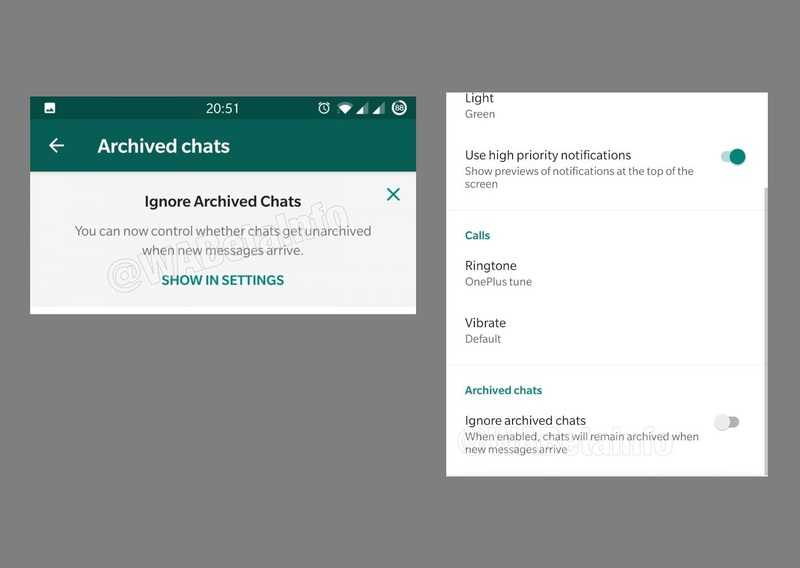 One of these new features that has got people talking about it is the “Ignore archived chats”. Basically this will be an improved form of “Vacation mode” feature, tested last year. Now, it’s confirmed that the revamped feature will come along with the new update. So, the feature allows you to mute archived chats until you decide to unmute them yourself. Until now, the archived chats were being automatically unarchived as soon as a user received a message from one of their contacts or groups. Additionally, a new Archived cell will also be available in the main Chat window. Related: Whatsapp to Introduce Fingerprint Authentication and Several new Features with the Upcoming Updates! The users who will update to version 2.19.101 will have these features readily enabled. However, it should be noted that the feature hasn’t been rolled out completely so there’s a fair chance you will not be able to access it yet. However, it will be incorporated into the new update soon. This feature will be more than helpful for users who believe in archiving chats to keep things organized. You will be able to enable it from the Notifications Settings, once it gets fully activated. Read next: You can now stop People from Adding you in their WhatsApp Groups without Blocking them!